Gary G. Altman, PhD was appointed Chief Executive Officer in February 2018. Prior to this role, he was Chief Operating Officer at Human Longevity in San Diego, California and has 25 years of experience as CEO, COO, VP and GM in therapeutics, medical diagnostics and life sciences. Mr. Altman began his career as a scientist, and soon became an entrepreneur, then a leader of global businesses. He holds a Bachelor of Science in Microbiology from Georgia State University, a Master of Science from Georgia Tech, and a Doctor of Philosophy in Virology from Western University. He was a National Institutes of Health Post-Doctoral Fellow in the BioPhysics Laboratory at the University of Wisconsin under the leadership of Paul Kaesberg and Nobel Laureate Howard Temin. In addition, Mr. Altman serves on the Board of TeamedOn International, the Cancer Advisory Board of the Global Center for Medical Innovation, has served on the faculty of Johns Hopkins University’s MBA program. Rao Mulpuri, PhD, MBA was appointed Chief Operating Officer in 2014 with 15 years of experience in molecular diagnostics and genomics industry. Dr. Mulpuri provides executive leadership and strategic direction for the operations of Provista Diagnostics including the scientific, laboratory and business operations, clinical product development, IT and informatics, quality and regulatory compliance. 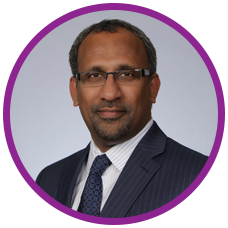 Before joining Provista, Dr. Mulpuri served as a Vice President of Laboratory Operations for Assurex Health, Inc., where he scaled up the operations and established global clinical laboratories to develop and commercialize molecular diagnostic products. From 2010 to 2012, Dr. Mulpuri was the Director of Scientific Operations at Catholic Health Initiatives (CHI), a network of 75 community hospitals where he implemented operational, informatics and regulatory strategies to bring genomics (personalized medicine) into the mainstream of healthcare. Prior to CHI, Dr. Mulpuri served as a Site Head of a CLIA-/GLP-/GMP-compliant Genomics and Clinical testing facility of Beckman Coulter Genomics. During his tenure, he led scientific teams and integrated global business units, established global customer support functions, implemented global e-commerce, CRM and billing systems to develop and commercialize genomic and diagnostic tests in the United States and Europe. Dr. Mulpuri received his Doctorate in Physiology and Biochemistry from Vikram University and a Masters of Business Administration with honors from the University of North Carolina, Chapel Hill at the Kenan-Flagler Business School. Uriel E. Kusiatin joined Provista as the Chief Financial Officer in June 2015 after 25 years of strategy development, operational execution and financial management experience as a business consultant and operations executive. Mr. Kusiatin was appointed Interim Chief Executive Officer in October 2017 to February 2018. Since late 2013, Mr. Kusiatin has been working with Provista Diagnostics on the development of more robust financial systems and controls as well as managing the budgeting, financial planning and analysis processes. Mr. Kusiatin began his career at Deloitte in 1996 and has specialized in the life sciences industry - from large international pharmaceutical, biotech and medical device companies to small start-ups - on maximizing significant business and financial opportunities. Mr. Kusiatin has also held interim c-level positions in private and public companies. Mr. Kusiatin holds a Bachelor of Science in Industrial Engineering from the Technical Institute of Denmark and a Masters of Business Administration from the Wharton School of the University of Pennsylvania. Robert Dickey, MBA, joined Provista as the Vice President of Business Development in 2018. Before joining Provista Mr. Dickey has demonstrated C-level and senior leadership experience in public, private, revenue stage and development stage companies and have played a leading role in 2 start-ups. Experienced in all stages of the business lifecycle with specific knowledge of life sciences and medical device companies and how to articulate complex and/or scientific concepts to a business audience. Mr. Dickey has proven expertise in public and private financing, M&A, partnering/licensing transactions, project management and Chapter 11 reorganizations, as well as building organizations and interacting with Boards, VC’s, shareholders and Wall Street. Mr. Dickey has worked as an investment banker, mostly at Lehman Brothers, with deal experience split between M&A and capital markets transactions in a variety of industries, including consumer goods, energy and high technology. Mr. Dickey holds a MBA from The Wharton School and an AB from Princeton University..
Jeffrey Gilman is an advisor to the Louis-Dreyfus Family Office, LLC (LDFO), which was established by Mr. William Louis-Dreyfus upon his retirement as CEO of the Louis Dreyfus Group to manage the investments of his family trusts. Mr. Gilman also serves as a director of various privately held companies. Mr. Gilman has served as an advisor to LDFO since 2009. Prior to joining LDFO, Mr. Gilman served as a senior financial executive of the Louis Dreyfus Group, a privately-held multinational company with operations in a variety of industries, including agricultural and energy commodity trading and processing, real estate, shipping, telecommunications, and manufacturing. Mr. Gilman was employed by the Louis Dreyfus Group for 25 years where he was engaged in strategic planning, business development, capital markets, treasury and risk management, as well as worked closely with the group’s various divisions and portfolio companies. Prior to joining the Louis Dreyfus Group, Mr. Gilman was a Vice President of a predecessor of JPMorgan. Mr. Gilman holds a Bachelor of Arts degree from Indiana University. Cynthia (Cindy) Collins, is a recognized leader in diagnostics, life sciences, and therapeutics. Prior to her most recent position as CEO of Human Longevity Inc., she served as the CEO/GM of General Electric’s Healthcare Cell Therapy Business, Lab Businesses and Clarient Diagnostics. Prior to GE, Ms. Collins served as President and CEO of GenVec, a publicly-traded therapeutics company and before that, she served as Group Vice President, Cellular Analysis Business of Beckman Coulter with responsibility for its Hematology, Flow Cytometry, and Hemostasis businesses. Prior to Beckman Coulter, she served as President and CEO of Sequoia Pharmaceuticals, Inc., a venture-capital funded company developing antiviral drugs for HIV and HCV. Earlier, Ms. Collins served as President of Clinical Micro Sensors, Inc., a wholly-owned subsidiary of Motorola, where she directed the development and commercialization of molecular diagnostic products. Prior to Motorola, she spent 17 years with Baxter Healthcare in a variety of executive roles, including President of Oncology, Vice President of Strategy and Portfolio Management of BioScience, Vice President & General Manager of Cell Therapies, and Vice President of Business Development of Transfusion Therapies. She began her career with Abbott Laboratories where she spent 6 years in various operating roles. Ms. Collins received her BS degree in Microbiology from the University of Illinois, Urbana and her MBA, from The University of Chicago Booth School of Business. Ms. Collins is a member of the board of directors for the Analytical Life Science and Diagnostics Association (ALDA), Alliance for Regenerative Medicine (ARM) Foundation, and Cavidi AB as well as a strategic advisor to Phase Holographic Imaging and VisuGen. Robert Hariri, MD, PhD, the Chairman, Founder & Chief Scientific Officer, and former Chief Executive Officer of Celgene Cellular Therapeutics, one of the world’s largest human cellular therapeutics companies, Dr. Hariri has pioneered the use of stem cells to treat a range of life-threatening diseases and has made transformative contributions in the field of tissue engineering. His activities and experience include academic neurosurgeon at Cornell, executive, military and defense scientist, surgeon, aviator and aerospace innovator. Dr. Hariri has 100 issued and pending patents, has authored over 100 published chapters, articles and abstracts and is most recognized for his discovery of pluripotent stem cells from the placenta and as a member of the team which discovered TNF (tumor necrosis factor). Dr. Hariri was the recipient of the Thomas Alva Edison Award in 2007 and 2011, The Fred J. Epstein Lifetime Achievement Award and has received numerous other honors for his many contributions to biomedicine and aviation. Dr. Hariri is also the Founder and Chairman of Myos Corporation, a bionutrition and biotherapeutics company and Co-Founder of Human Longevity, a genomics and cell-therapy company. Dr. Hariri also serves on numerous Boards of Directors including Myos Corporation and Provista Diagnostics. 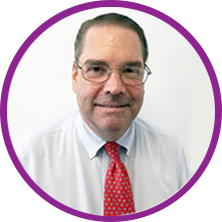 Jack Levine is a Certified Public Accountant (CPA) who has been advising private companies for over 30 years. Since January 2013, he has served on the Board of Directors for Biscayne Pharmaceuticals, Inc., based in Miami Florida. Biscayne Pharmaceuticals, Inc. is a biopharmaceutical company that has discovered and developed novel therapies based on growth hormone-releasing hormone (GHRH) analogs. The company’s technology stems from the discoveries of Dr. Andrew V. Schally, a Nobel laureate and pioneering endocrine drug developer. Mr. Levine has served as Chairman of the Audit Committee of Provista Diagnostics, Inc. since November 2011, as well as serving as the Chairman of the Audit Committee-Independent Board Member to SignPath Pharma, Inc., a development stage biotechnology company founded in 2006 which develops proprietary synthetic formulations of curcumin for the application in malignant disease and neuropathic disorders, since July 2010. From 1999 to 2007, he served as an Independent Board Member to PharmaNet, Inc. (now inVentiv Health) where from 2006-2007, he served as Chairman of the Board; in 2005, was a member of the Nominating Committee, Lead Director in 2004; a member of the Compensation Committee in 2003, a Chairman of the Audit Committee in 1999. Pharmanet is a global drug development services company providing a comprehensive range of services to pharmaceutical biotechnology, generic drug and medical device companies. From 2004-2008, Mr. Levine served as Chairman of the Audit Committee of Grant Life Sciences, an R&D company focused on early detection of cervical cancer and also providing medical diagnostic kits. From 2000-2006, Mr. Levine was Chairman either of the Audit Committee, Executive Committee or ALCO Committee of Beach Bank, Miami Beach, Florida. He also served as Chairman of the Audit Committees of Prairie Fund (2000-2006) and Bankers Savings Bank (1996-1998). He has been a committee member of the State of Florida – Florida Bar since 1993 and a Board Member of the Southeast Region of the American Friends of Bar – Ilan University since 2002. John Macaskill, Managing Director, joined Groton Partners in March 2005 and focuses his efforts on alternative investments, including private equity. Mr. Macaskill is a General Partner in a number of private equity and real estate funds. Mr. Macaskill has spent the last thirty years in the financial services industry in New York and London, after starting his career as an accountant in Scotland. He spent a total of fourteen years at JP Morgan Chase and its predecessor firms. Mr. Macaskill joined Chemical Bank, a predecessor of JP Morgan Chase, in London in 1977 and was transferred to New York in 1982. He rejoined JP Morgan Chase as a Managing Director in 1993 and remained with the firm until 2000. During his time at JP Morgan Chase, he was responsible for a number of different activities, including their origination of Yankee bond issuers. From 1984 until 1993, Mr. Macaskill was employed at Bankers Trust Co. in New York where he was a Managing Director and held a number of additional roles, including heading the Commodity Finance Group, the Commodity Derivatives Group and the Insurance Derivatives Group. Mr. Macaskill serves as a Director to the National Museum of Scotland's American Board. Mr. Macaskill is also a member of the Institute of Chartered Accountants of Scotland. Thomas Mendell is a Private Investor and on the board of directors of several private companies. Mr. Mendell was a partner of JPMorgan Partners from 2000 to 2003 and a partner of The Beacon Group, a merchant bank, from 1994 to 2000. Prior to joining The Beacon Group, Mr. Mendell was a Partner of Goldman, Sachs & Co., where he served as a member of the firm’s investment committee and head of GS Capital. Mr. Mendell had shared responsibility for making principal investments of the firm’s capital as well as for the Broad Street Fund and GS Capital Partners, L.P. Mr. Mendell also spent eleven of his nineteen years at Goldman Sachs in the Mergers & Acquisitions Department, where he successfully completed over 150 transactions for clients in a wide array of industries. Before joining Goldman Sachs, he was an officer in the United States Navy. Mr. Mendell is currently chairman of SonaCare Medical, LLC, Chairman of Knowledge Delivery Systems, Inc. and a director of several private companies including ZeroWater Inc., and T3D Therapeutics. In addition, he is on the board of the Cancer Research Institute, MENTOR/ National Mentoring Partnership, and served on the Harvard Business School Alumni Board and as a Trustee of St. Bernard’s School. He is a graduate of Harvard University with a Masters of Business Administration and a graduate of Vanderbilt University with a Bachelor of Engineering. Yoji Nimura is an advisor to the Louis-Dreyfus Family Office, LLC (LDFO), which was established by Mr. William Louis-Dreyfus upon his retirement as CEO of the Louis Dreyfus Group to manage the investments of his family trusts. Mr. Nimura also serves as a director of various privately held companies. Mr. Nimura has served as an advisor to LDFO since 2009. Prior to joining LDFO, he was an executive at the Louis Dreyfus Group, a privately-held multinational with operations in industries including agricultural and energy commodity trading and processing, real estate, shipping, telecommunications and manufacturing. Mr. Nimura began his career in the Fixed Income Division of Goldman Sachs, working in both New York and Tokyo between 1994 and 2000. Mr. Nimura has a Bachelor of Arts from Yale University, a Master of Science from the London School of Economics and a Masters of Business Administration from Columbia University. John Zicarelli, PhD, FCAS, CFA, has served as Chairman of CAME, LLC. since 2003, a family-owned and operated private equity investment company. The company focuses on investments in software and medical diagnostics, and on companies located in the United States and Germany. 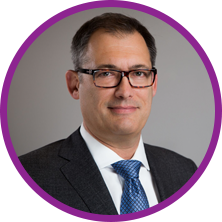 Since November 2011, he has served on the Board of Directors of Provista Diagnostics, Inc. Additionally, Mr. Zicarelli currently serves on the boards of the following corporations: Ableton, AG (Berlin), Cadtel System, Inc. (Scottsdale) and CAME, LLC (Minneapolis). He continues to teach as an Adjunct Facility member at both Arizona State University and Grand Canyon University. From 1992-2009, Mr. Zicarelli was Vice President of Strategy & Risk Management at the Scottsdale Insurance Company. During his tenure, he managed the actuarial department, provided executive leadership for the IT division for six years, served as acting chief financial officer for two years, and led several major change initiatives. Mr. Zicarelli holds a Doctorate from the University of Minnesota in Mathematics (1975), an FCAS from the Casualty Actuarial Society (1983), a SEP (Stanford Executive Program) from Stanford Graduate School of Business (1997), and a CFA from the CFA Institute (2003). Karen Anderson, MD, PhD, a clinical translational research scientist with an extensive research background, is an Associate Professor at The Biodesign Institute at Arizona State University, Virginia G. Piper Center for Personalized Diagnostics. In addition to working for Biodesign, Dr. Anderson has a joint appointment with the Mayo Clinic in Arizona as a medical oncologist with a specialization in breast cancer. Her research focuses on the development of immunodiagnostics and immunotherapies for cancer, and she has developed specific immune-based biomarkers for the early detection of breast, ovarian, and HPV-associated cancers. Dr. Anderson earned her medical degree and Doctorate from Duke University School of Medicine, and completed her residency in internal medicine at Brigham and Women’s Hospital with a training fellowship in hematology/oncology at Dana-Farber Cancer Institute. Ken Bloom, MD, was recently President and Lab Director at Human Longevity, Inc and previously at GE Healthcare where he was since 2011 as Chief Medical Officer, In Vitro Diagnostics, Life Sciences. There he had oversight of Medical Affairs, Clinical Pathology Services, Pharma Pathology Services, Bioinformatics and Research and Development. He was also President and CEO of Clarient Pathology Services, the professional group contracted to provide pathology services to Clarient Diagnostic Services and SeqWright. In these roles he led the overall development and execution of the medical and scientific strategy, aligning them with the overall GE mission and business strategy. Prior to Clarient, Dr. Bloom was with US Labs where he was Senior Medical Director since 2002. Joshua LaBaer, MD, PhD, is considered one of the nation’s foremost investigators in the rapidly expanding field of personalized medicine, including the discovery and validation of biomarkers. Dr. LaBaer serves as the Virginia G. Piper Chair of Personalized Medicine and directs The Biodesign Institute, Personalized Diagnostics at Arizona State University. The former founder and director of the Harvard Institute of Proteomics, Dr. LaBaer is a member of the National Cancer Institute’s Board of Scientific Advisors and serves as chair of the National Cancer Institute’s Early Detection Research Network Executive Committee and Co-Chair of its Steering Committee. 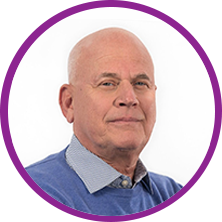 Dr. LaBaer holds a Bachelor of Science from the University of California, Berkeley, and earned his medical degree and Doctorate in biochemistry and biophysics from the University of California School of Medicine, San Francisco. Edgar D. Staren, MD, PhD, MBA is President of TransMed7, LLC and President of its subsidiary, Martinet Medical, LLC, minimal access medical technology companies addressing patient needs from diagnosis to therapy. 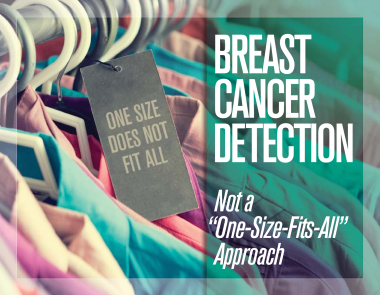 Most recently he served as Professor of Surgery, Vice President and Executive Director for Cancer Services at Wake Forest University Baptist Medical Center, and Deputy Director for Clinical Affairs of its Comprehensive Cancer Center. He is a graduate of Loyola University School of Medicine and received his general surgery training and surgical oncology fellowship at Rush University Medical Center and Cook County Hospitals. Additional graduate education included a PhD in immunology/microbiology from Rush and an MBA from Benedictine University. After his training, Dr. Staren remained as a faculty member at Rush and held positions as Professor of General Surgery and Associate Dean for Medical Student Programs. He subsequently served as Professor and Chairman of Surgery at the Medical College of Ohio and Medical Director of the MCO Cancer Institute, CEO of CTCA Medicine and Science, as well as, CEO of Ashion PMed Management, an outgrowth of the Translational Genomics Research Institute (TGen). Dr. Staren is a member of numerous academic organizations and has published nearly 300 scientific works including more than 150 manuscripts, 80+ abstracts, 45 book chapters, and 12 books.